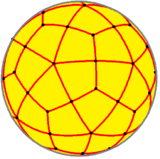 In geometry, a deltoidal icositetrahedron (also a trapezoidal icositetrahedron, tetragonal icosikaitetrahedron, and strombic icositetrahedron) is a Catalan solid which looks a bit like an overinflated cube. 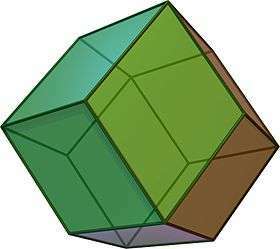 Its dual polyhedron is the rhombicuboctahedron. 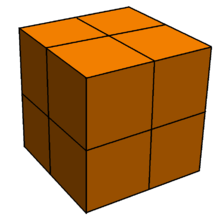 If its smallest edges have length 1, its surface area is and its volume is . 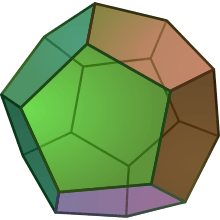 The deltoidal icositetrahedron is a crystal habit often formed by the mineral analcime and occasionally garnet. 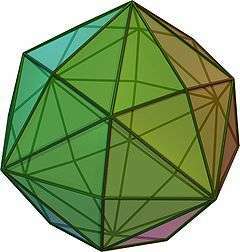 The shape is often called a trapezohedron in mineral contexts, although in solid geometry that name has another meaning. 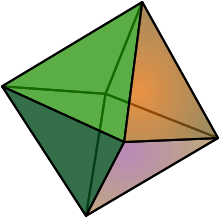 The great triakis octahedron is a stellation of the deltoidal icositetrahedron. 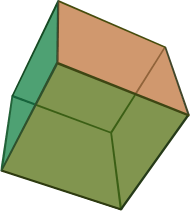 The deltoidal icositetrahedron is topologically equivalent to a cube whose faces are divided in quadrants. 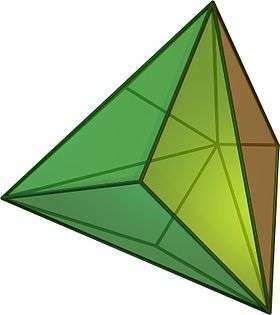 It can also be projected onto a regular octahedron, with kite faces, or more general quadrilaterals with pyritohedral symmetry. 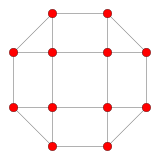 In Conway polyhedron notation, they represent an ortho operation to a cube or octahedron. 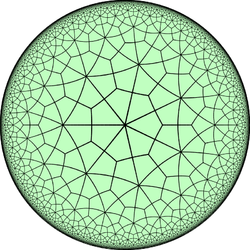 In crystallography a rotational variation is called a dyakis dodecahedron or diploid. 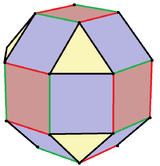 The deltoidal icositetrahedron is one of a family of duals to the uniform polyhedra related to the cube and regular octahedron. 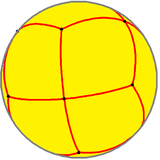 This polyhedron is topologically related as a part of sequence of deltoidal polyhedra with face figure (V3.4.n.4), and continues as tilings of the hyperbolic plane. 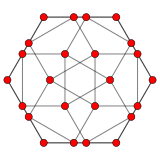 These face-transitive figures have (*n32) reflectional symmetry. 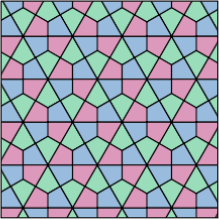 Tetrakis hexahedron, another 24-face Catalan solid which looks a bit like an overinflated cube. 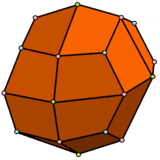 Eric W. Weisstein, Deltoidal icositetrahedron (Catalan solid) at MathWorld.